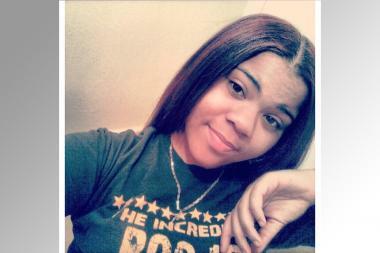 Renee Thompson, 16, was headed home when the truck hit her, relatives said. MORRIS HEIGHTS — A Bronx honors student died Wednesday night when a tractor-trailer struck her on her way home from a summer job on the Upper East Side, cops said. Renee Thompson, 16, had just finished her shift at Dylan's Candy Bar and was crossing west over Third Avenue to head to her Morris Heights home about 10:20 p.m., according to the NYPD. But the truck turned right from East 60th Street onto Third Avenue and struck her, police said. Thompson was pronounced dead at the scene, police said. The teen's father, Gregory Thompson, said she was entering her senior year at Coalition High School and juggling summer classes at Hunter College with her candy store job. "She was a sweet girl who had big dreams," the grieving father said. "She had endless potential." "She was gonna be something real special," said mother Joy Clarke, 49. "Renee was an exceptional, phenomenal human being. God always takes the best." The 35-year-old truck driver did not immediately realize what had happened, but stopped about three blocks later, the New York Post reported. He was not immediately arrested, a police spokesman said. A manager at Dylan's said the store may remain closed through Thursday in response to Thompson's death. "She didn't deserve to die like that," said a co-worker who asked not to be named. "She was a good kid. She was a joyful person. She worked really hard." Thompson's parents were overwhelmed by her death. "It's disbelief. It's devastation. It's shock. How does this work?" asked her father. "I've gone from disbelief to extreme pain like I've never had in my life. I'm numb at this point."